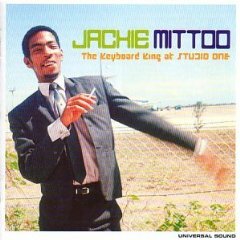 This is a new CD by Jackie Mittoo comprising of 15 tracks on a UK label. Over half are available on other CD's and will be known to most Mittoo fans and collectors. Most are reggae and later instrumental works apart from "Summer Breeze" a Jackie Mittoo vocal. "Totally Together" which has some vocal sections. "Killer Diller", driving Ska, for those that don't have this track, is worth the cover price alone. It is very nicely packaged together with a booklet and CD sleeve insert. Available on Universal Sound USCD8.